Mid-century modern – this term stands for probably the most creative, and undoubtedly the best known and most influential era in the history of American design. The Organic Chair is a rediscovered early masterpiece from this period. Inspired by modern European furniture, American designers such as Charles und Ray Eames, George Nelson, Isamu Noguchi and Alexander Girard, as well as Eero Saarinen, Harry Bertoia, Florence Knoll, Jens Risom and George Nakashima combined functionality with formal elegance to create a unique style in the 1940s and 1950s. Compared to the rather cold and austere look of early modernism, mid-century modern design has a more attractive and casual appearance suited to human needs. Its vibrant optimism catches the mood of our time, explaining its lasting popularity, which has seen significant growth over recent years. 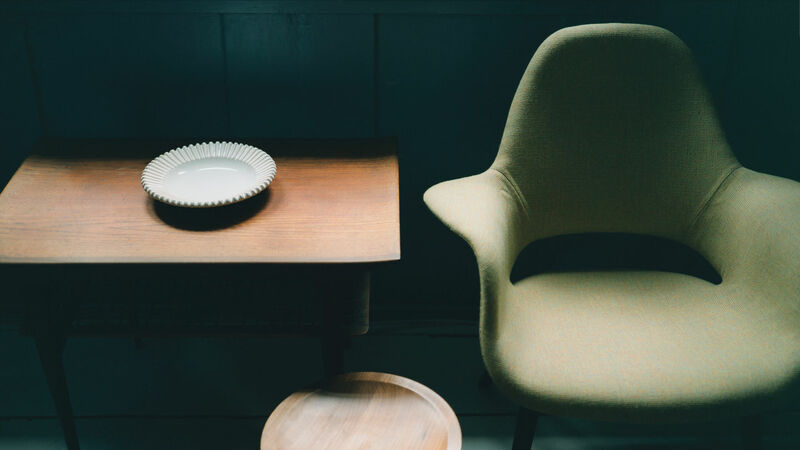 Developed as a joint project by Charles Eames and Eero Saarinen, the Organic Chair is considered one of the most seminal creations of mid-century modern design – even if it is still relatively unknown by the general public. Conceived in 1940 for a furniture competition organised by the Museum of Modern Art in New York, the chair represents a significant milestone in the designers’ careers and is a key work from that entire era. 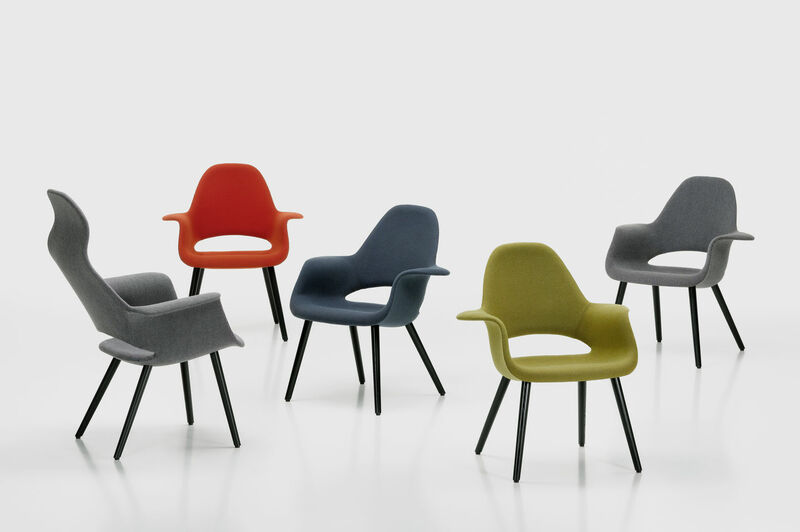 Many of the later, now iconic chair designs by Charles and Ray Eames – and also by Eero Saarinen – are conceptually and structurally based on this model. This is true of the Eames Plastic Chair and the related Wire Chair, and likewise applies to Saarinen’s Tulip Chair and his Womb Chair. 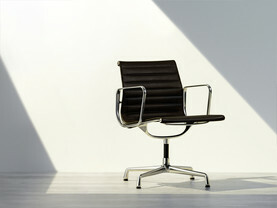 Connections can even be drawn to the Eames Lounge Chair, which represents a further development and refinement of the seat shell principle. 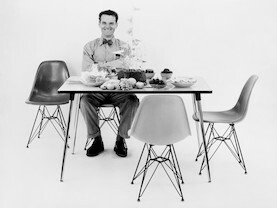 Charles Eames and Eero Saarinen, two young, ambitious architects on the threshold of their international careers, were both teaching at the famous Cranbrook Academy when MoMA launched its ‘Organic Design in Home Furnishings’ competition. 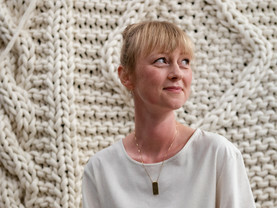 The duo decided to submit a joint entry in the seating category, developing the idea of a form-fitting and anthropomorphically shaped seat shell that would offer excellent comfort even without costly upholstery. Eames and Saarinen wanted to make this shell from plywood – largely inspired by the laminated wooden furniture designed by the Finnish architect Alvar Aalto. However, as the young designers soon discovered, the technology required for the three-dimensional moulding of plywood shells was not yet available. 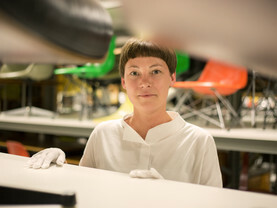 While it was possible to produce shells manually for the prototypes, it became clear that considerable technical advancements would be necessary before the chair could be mass produced. Recognising the innovative, ground-breaking approach adopted by Eames and Saarinen, MoMA’s jury of experts – which included Marcel Breuer and Alfred Barr, the founding director of the museum – awarded their design first prize. The museum also pledged its assistance in finding a manufacturer and further pursuing the technical development of the chair. However, when the USA entered the Second World War after the attack on Pearl Harbor in 1941, the furniture industry also had to divert its resources to the war effort. 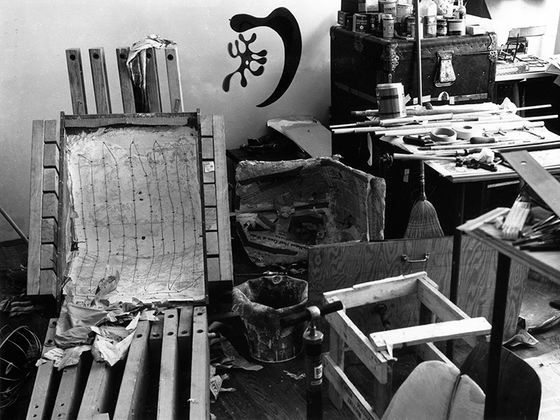 Work on the Organic Chair came to a standstill, and the team of Eames-Saarinen was dissolved. The two men remained friends but went their separate ways on a professional level. 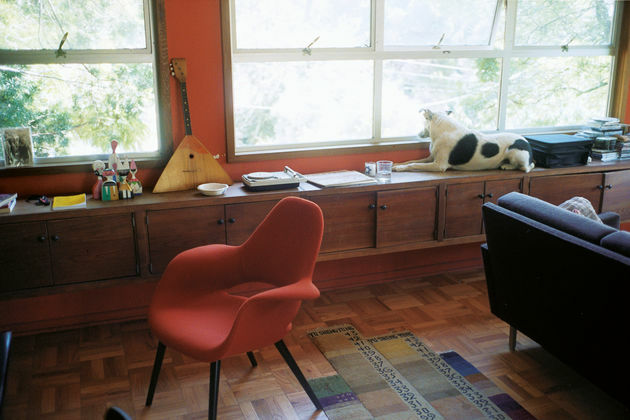 Charles Eames married Ray Kaiser and moved to California, where the couple continued experimenting with the three-dimensional moulding of plywood on their own. 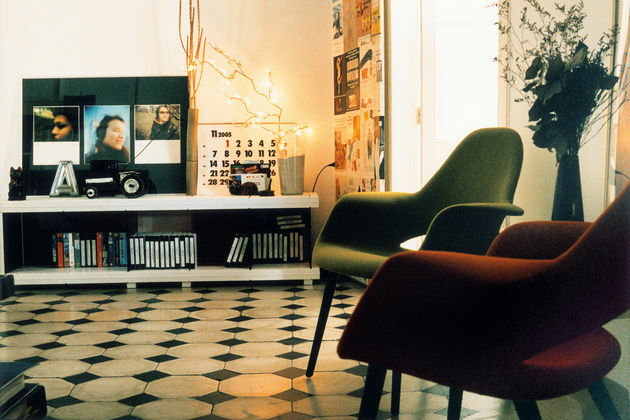 These efforts culminated in the development of the Eames Plywood Chairs in 1945. Eero Saarinen’s furniture designs from the early 1940s relied on conventional production technology, while he concentrated more intently on his career as an architect. The Organic Chair therefore gradually drifted out of its authors’ focus and was largely forgotten for a number of years. 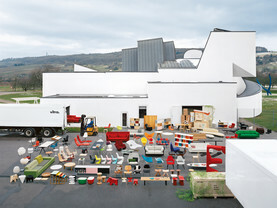 One of the few surviving vintage pieces is held by the Vitra Design Museum. Close examination of this chair not only revealed the long-neglected importance of its role in design history, but also drew attention to its functional quality and timeless aesthetic. 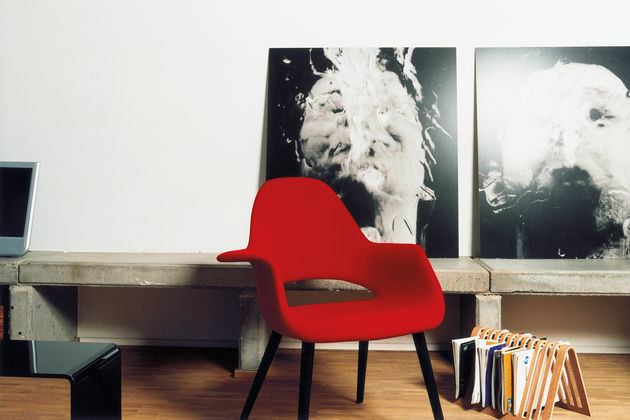 This recognition sparked the idea of a re-edition of the chair, launched by Vitra in 2004. 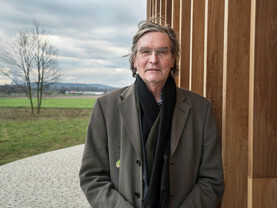 Since then the Organic Chair – the name is a reminder of the competition for which it was once created – has gradually earned a place in the market that is worthy of its historical importance. 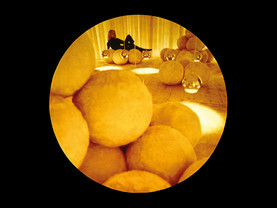 Images: In-Situ Image Organic Chair. 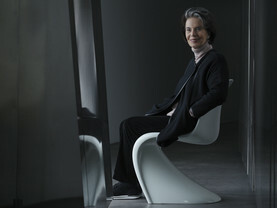 Photo: Isabel Truniger, Copyright: Vitra. 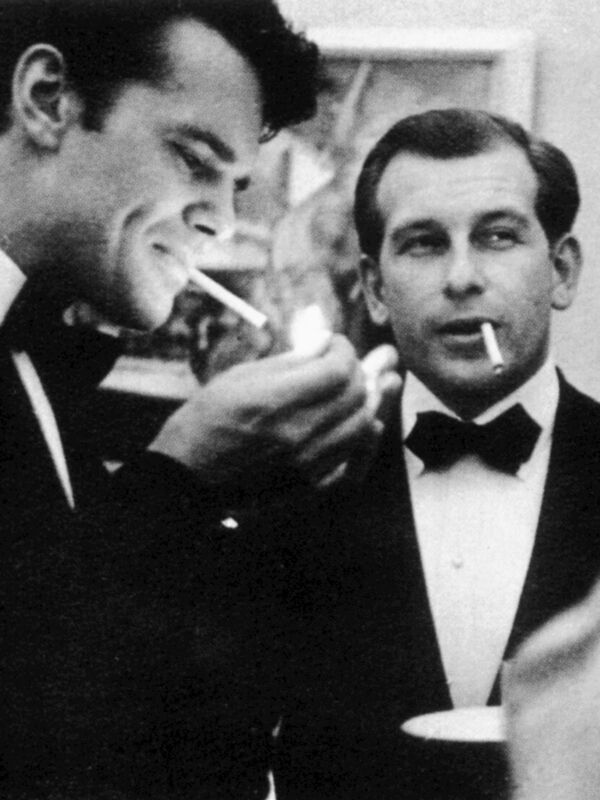 Portrait Charles Eames and Eero Saarinen. 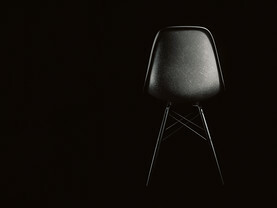 Copyright: Vitra. Organic Chair Gruppe. 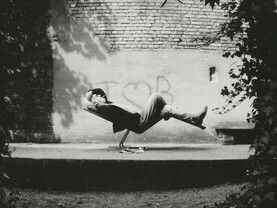 Photo: Marc Eggimann, Copyright: Vitra. 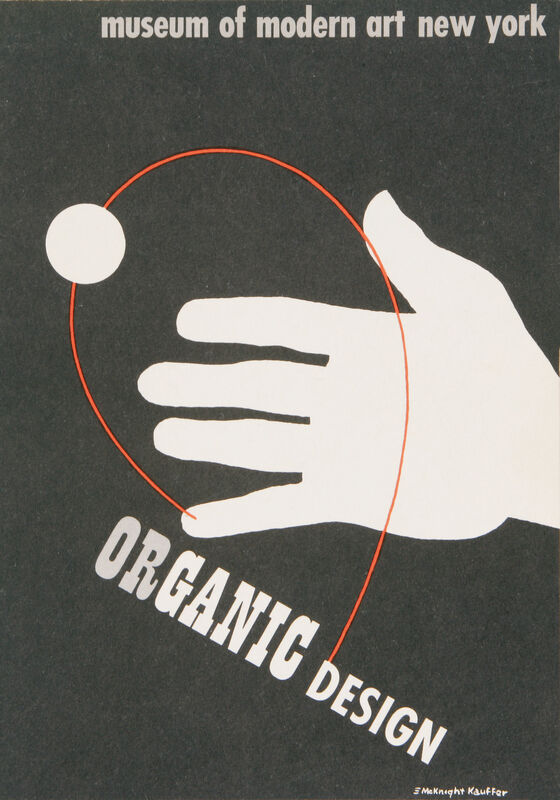 Exhibition catalogue cover «Organic Design. Museum of Modern Art New York», 1941. 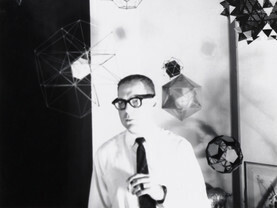 Copyright: MoMA/Scala Archives. 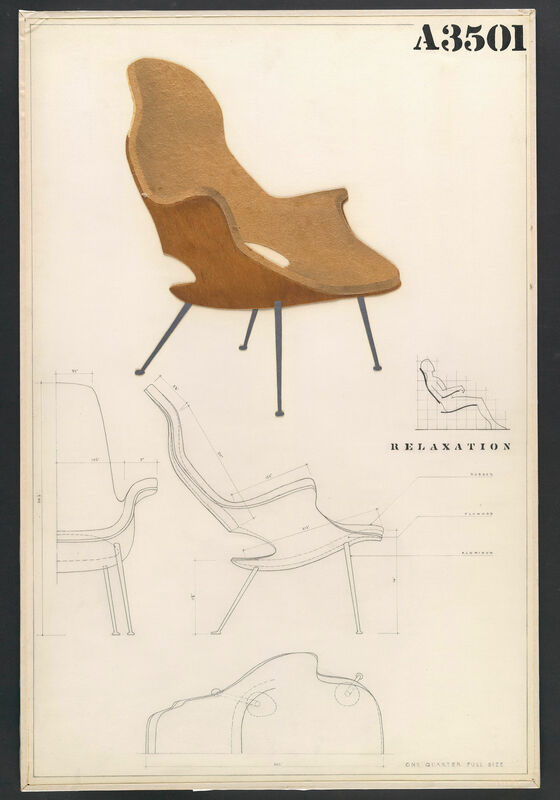 Competition drawing for Highback Armchair by Charles Eames und Eero Saarinen, 1940. 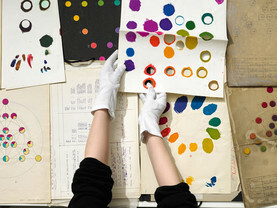 Copyright: MoMA/Scala Archives. In-Situ Images Organic Chair. 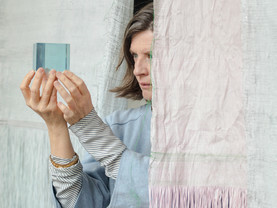 Photo: Ari Marcopoulos, Copyright: Vitra.